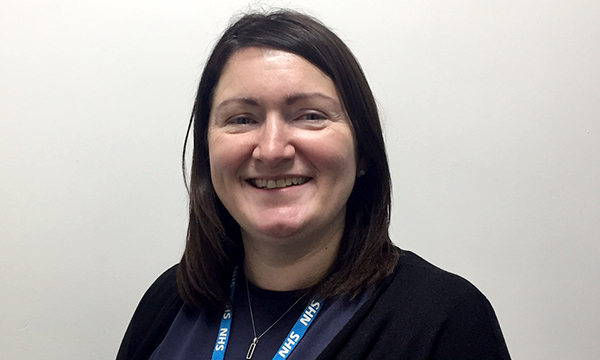 I am an integrated pathway manager in the combined community and acute care group at Sheffield Teaching Hospitals NHS Foundation Trust. My role involves managing one of the city’s four community nursing teams, which will soon have community therapy services integrated with them. I also manage our community nursing flexible workforce department and the community assistive technology team. After leaving school at 16, I worked in a workshop making leather clothes. After a few years, I realised this was not right for me and a friend advised me to try nursing. I volunteered at a local hospice while getting the qualifications to start training as a nurse. Since being accepted to start nurse training in October 1991, I never looked back. Leeds College of Health, which was linked to Leeds Metropolitan University, now called Leeds Beckett University. I also completed the district nurse specialist practitioner qualification (DNSPQ) at Manchester Metropolitan University. No two days are ever the same. I can go from a day of recruiting amazing new nurses to a meeting with GPs, looking at how our community nursing teams can integrate into the wider neighbourhood team along with health and social care and third sector providers. Completing the DNSPQ built on my existing skills and prepared me for the world of leading and managing in community nursing. It gave me the ability to be a more reflective and critical leader, with the skills to challenge, as well as the competence and confidence to lead the service. How does your current job use your leadership skills? Recently I led a steering group including staff and patients. We were developing a plan to help patients with long-term conditions avoid unnecessary hospital stays and reduce the length of a hospital stay. The pilot of the plan significantly reduced hospital admissions and is being rolled out in Sheffield. To make sure the community nursing service continues to deliver high-quality care while demand for the service grows due to more patients, many of them with complex needs. I am so proud of all the community nursing staff in Sheffield. Their professionalism, compassion, kindness and ability always to put patients first in sometimes challenging circumstances is a constant inspiration. Encouraging and supporting several healthcare support workers through nurse training, then seeing them work as competent and confident staff nurses in the community. Two have gone on to complete DNSPQs and now manage their own community nursing teams. I am also really proud of our community services achieving an outstanding rating from the Care Quality Commission in 2016. Passion for the service you manage and the belief in the nursing staff to provide the best care. Great knowledge and insight in your area of work and the confidence to challenge and make things better for patients, staff and the organisation. Love the work you do and stay positive. No matter what you are doing in your job or how hard and challenging it is, if you always put the patients first in everything you do, you can’t go wrong.